Muslims believe that God has many qualities and names, one of the most significant of which is Allah, a word in Arabic signifying God for both Muslim and Christian Arabs. For many medieval Muslim thinkers, the name Allah signifies God's comprehensiveness, God's all-inclusiveness. Another name of God, one that is more particular, is al-Khaliq (the creator). Thus Muslims believe that God is the ultimate creator of existence. After creating existence, Muslims believe that God does not leave the creation without guidance. Hence there are signs of God and guidance from God in existence. In addition to these signs that are embedded in existence, God periodically revealed wisdom to prophets, wisdom which in some cases was in verbal form and which has become known as sacred scripture. Muslims believe that the last of the prophets was Muhammad. The revealed wisdom, or revelation, given to him is the Qur'an. The purpose of revelation is to enable humans both to devote themselves to God and to lead lives and construct societies that will increase their closeness to God in this world and for all eternity. For Muslims, revelation, God's grace, the human intellect, and the human capacity to choose to follow devotedly God's revelation are sufficient to enable people to become close to God, now and eternally. Hence in Islam, like traditional Judaism, Islamic practice in harmony with guidance given by God's revelation is emphasized as being the key to salvation. Unlike in Judaism, however, Muslims believe that the Qur'an is the form of revelation that can be relied on today, in contrast to the Bible, which Muslims believe has been subject to human influence. Western scholars of Islam have noted that Muslims, like Christians, emphasize the significance of correct belief. Nevertheless, unlike Christians, Muslims believe that God's revelation, God's grace, and human intelligence and effort is what saves, although Muslims do revere Jesus as a prophet. See my webpage: Summary of the Similarities and Differences between Islam and Christianity Concerning Jesus. Needless to say, to the degree that Muslims do not use their intelligence, devotion, and will to correctly understand and follow God's guidance, they believe that their closeness to God will be endangered. The bare minimum that a Muslim must do and believe in order to rest assured of his or her salvation is quite simple, although the faith and practice of many Muslims may often be complex and elaborate, reminding students of the detailed and scrupulous observance of Rabbinic law in Orthodox Judaism and the precise doctrinal formulations of Catholicism. A Bedouin came to the Prophet and said, "Tell me of a deed such that if I were to do it, I would enter Paradise (as a result)." The Prophet said, "Worship God (Allah) without worshiping anything along with Him, offer the (five daily) prescribed prayers, pay the compulsory alms(zakat), and fast the month of Ramadan." The Bedouin said, "(I swear) by Him in whose hands my life is, I will not do more than this." When he (the Bedouin) left, the Prophet said, "Whoever would like to see a man of Paradise should look at this man." Narrated by Abu Hurayrah in the Sahih of Bukhari, Volume 2, p. 272-73, book 23, #480.
hajj, performing the pilgrimage to Mecca. "The Articles of Faith" and the "Pillars of Islam" The "Articles of Faith" consist of the primary beliefs of Muslims and the "Pillars of Islam" consist of the essential actions of a Muslim. Adhan and Salat This link includes a number of examples of the call to prayer, the adhan (the "dh" is pronounced like the "th" in "this") as well as each of the five daily prayers (salat) recited outloud. Fajr prayer consists of two rak'ahs (sequences) and is performed from the beginning of the daily change from darkness to light until the sun begins to appear above the horizon. Here you can listen to the entire Fajr prayer, including the parts that should be done silently. CyberSalat is a free downloadable multimedia software package for Windows designed to teach salat, the Islamic prayer. Prayer Times Wherever you are in the world, you can use this online utility to find the prayer times for whatever month you want. If you are in the U.S., when you are asked to select a city, if you do not find your city listed, scroll down to the bottom of the city list and choose "somewhere else" and OK. Then, to find your latitude and longitude, click on the Geographical Name Server at MIT or here, and put your city and state in the box as indicated and hit "enter" on your keyboard. And then, click here to find the difference between your time zone and Greenwich Mean Time (GMT), which is what is meant on the Prayer Time site by hours difference from GMT. Sifat al-Salah is a well-organized and detailed explanation of certain aspects of Salat from the perspective of the Hanafi madh'hab. Evidence for various Hanafi practices in Salat are provided by hadith and reports of the sahabah (companions of the Prophet). The author is Muhammad Ilyas Faisal, a Hanafi shaykh in Madinah. The Prophet's Salat (Ritual Prayer) This link is an on-line book written by Shaykh Albani, who brings numerous references from the hadith to describe how the Prophet prayed and who argues for a greater reliance upon Qur'an and "sound" hadith as opposed to the opinions of the various "schools of law" (madh'ahib). Al-Albani Unveiled: Important Issues of Fiqh critiques Al-Albani's The Prophet's Salat,refuting a few of al-Albani's contentions in the previous article, contentions that negate various aspects of the accepted practice of prayer as performed according to some of the madh'habs. This is a specialized article not intended for novices. A Brief Introduction to Zakat, written by the Zakat Society. Zakat, written by the UNN Islamic Society, contains an especially useful section on how zakat is calculated. In 2001, Ramadan began in the United States on Friday, November 16, 2001, since the crescent moon (hilal) was sighted in Tucson, Arizona on the evening of Thursday, November 15. It was predicted by astronomical data that it might begin in the year 2001 on Friday, November 16 in the United States. The reason for the uncertainty is that the Islamic calendar is lunar, and hence the new moon must be sighted on the evening before the month and the fasting begins. This year in North and South America, according to the available astronomical data, there was only a very slight probability of sighting the moon on the evening of Thursday, November 15, even with the help of optical aids and clear skies on West Coast. Data from Dr. Mohib Durrani, the North American coordinator for astronomical information of Islamic Society of North America (ISNA), indicated that if the southwestern states of USA were clouded (where the hilal--crescent moon-- sighting was expected) the date of the sighting could have been delayed by one day. Nevertheless, Durrani asserted, if aided by clear skies and optical instruments, the moon might indeed be sighted in the U.S. on Thursday, November 15, which would mean that fasting in the US would begin on Friday, November 16. And this is in fact what happened. On the other hand, it was predicted that in most of the world the moon would be sighted on Friday, November 16 and that in those regions, Ramadan (and fasting) would begin on Saturday, November 17. Ramadan Resources for Teachers Compiled by the Council for Islamic Education, a national American educational resource. Essentials of Ramadan, The Fasting Month a detailed and well-organized on-line book written by the respected Muslim scholar Tajuddin B. Shu'aib. International Journal of Ramadan Fasting Research See especially the article Dietary fat, blood cholesterol and uric acid levels during Ramadan fasting by Dr. Muhammad Zafar Nomani(Professor Emeritus of Nutrition, West Virginia University), in which he reviews the scientific studies to date on fasting during Ramadan (vol. 1, number 1, 1997). Diet During Ramadan by Dr. Muhammad Zafar Nomani, who in this article (originally published in the International Journal of Ramadan Fasting Research, 3:1-6, 1999) and in a number of scientific studies has shown the physiological benefits of fasting during Ramadan. Ramadan and Eid ul-Fitr is a comprehensive page of articles related to Ramadan. In order for Ramadan to begin and end, the crescent moon must be seen. Dr. Monzur Ahmed's program MoonCalc can be used to generate maps indicating the locations from where the moon may possibly seen. See the large-scale moon-sighting map which contains a color-coded key as to when and where the moon will most likely be seen. UNFORTUNATELY, this website has not been updated for Ramadan of 1422 AH/ 2001 CE. The colors indicate the age of the moon at the time of the local sunset. The area in red is where it will easily visible; the purple area is where it may be seen if conditions are perfect. In the the yellow area, an optical aid will be needed to find the moon; and the the area of yellow and black cross-hatching, it will only be able to be seen with an optical aid. The key in the bottom right hand corner of the map tells you how many hours old the moon will be at sunset relative to viewers located in the colored areas. Hence for viewers in the purple area, the moon will be 20-25 hrs. old at the time of their sunset. But for viewers in the reddish-pink area, the moon will be 25-30 hours old at the time of their sunset. Since an older moon can be seen more easily, viewers in the reddish-pink area will be more likely to see the moon than viewers in the purple area. Hajj Resources for Teachers compiled by the Council on Islamic Education and including discussion questions. Hajj Information Center is a comprehensive site on the Hajj. It includes, among other things, descriptions of the various rituals, graphics, images, notes for teachers, and first person accounts. A Handbook of Umra and Hajj compiled by the Muslim scholars at Sound Vision. Hajj Rituals, a nicely formatted exposition of the types of Hajj and the rituals that comprise the Hajj. This page is part of a larger site Hajj and 'Umrah, which includes additional pages on 'Umrah rituals, the Prophet's "Farewell Hajj," a vitual tour through the history of the Ka'ba (lit. "cube," the cube-shaped shrine at the center of the sacred mosque in Mecca), a tour of the history of the Prophet's mosque in Madina, and a tour of places of significance in Madina. An American's Pilgrimage to Mecca is an excerpt from a recent book by the Anglo-American convert Michael Wolfe. God, in one place in the Qur'an commands Muhammad in the following manner: "Say [to people], 'If you love God, then follow me [the Prophet]; God will [then] love you [people] and forgive your sins' " (Qur'an, 3:31). Hence not only do pious Muslims follow the previously discussed "five pillars of Islam," but they generally have attempted to follow the words of Muhammad and to model their actions after his customary practice. The Arabic term that stands for the Prophet Muhammad's customary practice, is the sunnah. See the Encyclopedia Britannica's pithy article on the sunna. Those Muslims who also have attempted to emulate not only the prophet's actions but also the quality of his heart and mind, namely his consciousness, have generally but not solely been Sufis. While popular contemporary criticism of Sufism condemns it as something alien to acceptable Islamic practice, a non-Islamic "innovation" (bid'a), traditional critics such as Ibn Qayyim al-Jawziya generally criticized later developments in Sufism, not those Sufis whose Sufism consisted of striving to follow the whole of the Prophet's being. The basis of Islamic doctrine is rooted in the Qur'an. See Doctrines of the Qur'an written in the Encyclopaedia Britannica by the esteemed Muslim scholar Fazlur Rahman, formerly a professor of Islamic Studies at the University of Chicago. This articles covers Qur'anic statements on God, the universe, man, Satan (along with sin and repentance), prophecy, and eschatology. Just as Muhammad delineated the five main components of Islamic practice, "the five pillars of Islam," in the well-known hadith involving Gabriel, in which Gabriel asked the Prophet (and thereby indirectly taught the Muslims) about the various dimensions of religion (din), in the same hadith Muhammad clarifed six primary objects of faith: God (Allah), angels, sacred scriptures, prophets, the Day of Judgement, and [the divine origin of] the "measuring out" [which results in created existence, irrespective of whether or not that which comes into existence is good or evil]. Each of these is elaborated under the heading "Articles of Faith" on the web page Introduction to the Articles [of Faith] and Pillars of Islam. Angels in Islam is a particularly useful compilation of excerpts from Professor Sachiko Murata's chapter "Angels" in the volume Islamic Spirituality, edited by Seyyed Hossein Nasr. Muslim scholars have gone far beyond the rudiments of faith sketched out above. They developed an entire discipline of study called al-'Aqidah (faith, belief), which consists of the study of the orthodox beliefs that Muslims should have. Prior to (and during) the development of the three most important Sunni theological schools (the Mu'tazili, Ash'ari, and Maturidi schools), individual scholars developed various credal statement. Two such statements of 'aqidah are those of Abu Hanifa and Tahawi. Fiqh al-Akbar of Imam Abu Hanifa (d. 150/767) Although he is usually known as the founder of one of the four Sunni schools of jurisprudence (Hanafi madh'hab), Abu Hanifa is the source for this link, which is an early expression of Sunni theology and emphasizes the following ideas: 1) the community of the Muslims, 2) the sunna (the path of the majority who avoid extremes) as the unifying principle of the community, and 3) reliance upon proofs from scripture instead of reason. Imam al-Tahawi's Creed consists of the beliefs that al-Tahawi (d. 321 AH/ 933 CE), a follower of the madh'hab (school of jurisprudence) of Imam Abu Hanifa, considered to be orthodox. Another site that used to have this text was Islamic Belief (al-'Aqidah) of al-Tahawi. As of 28 October 1998, however, it has been down. The first major school of "dogmatic theology" to crystallize was called the Mu'tazili school. Arising as a theological school in the early part of the eighth century CE, the Mu'tazilah stood primarly for three principles: absolute unity of God (tawhid)(hence anything besides God, including the Qur'an, could not be co-eternal with God and was therefore considered to be temporal or created), God's justice ('adl) (allowing for human free will), and Divine reward and punishment (al-w'ad wa-al-wa'id) (in the Hereafter). See the articles Mu'tazilah and Islamic Thought: Mu'tazilah in the Encyclopedia Britannica. In the tenth century CE, reacting against the Mu'tazilah, the Sunni movement arose, representing the majority of Muslims. Its major figure was Abu al-Hasan al-Ash'ari. Abu al-Hasan al-Ash'ari (d. 324 AH/ 935 CE) is the Muslim scholar whose school of "dogmatic theology" (kalam), the Ash'ari school of 'aqida (doctrine), came to dominate the orthodox position in the Sunni Muslim world. This link is to a short biographical notice on al-Ash'ari. al-Ash'ari on the Prophet and his Sunnah This link consists of a small part of Walter C. Klein's translation of al-Ash'ari's a al-Ibanah 'an usul al-diyanat which is a major theological treatise. This particular text consists of a theologically and scripturally based justification for following the sunna of the Prophet. Imam Abu al-Hasan al-Ash'ari This article, by the Muslim scholar, Dr. Gibril Fouad Haddad, asserts (among other points) that what we now know as the al-Ibanah of al-Ash'ari is a corruption of the original text, a corruption that involves a number of significant ideological differences from the actual perspective of al-Ash'ari. The Foundations of the Articles of Faith, a revised translation of al-Ghazali's (d. 505 AH /1111 CE) Kitab Qawa'id al-'aqa'id, which is a section from his masterpiece, Ihya 'ulum al-din (The Revival of the Religious Sciences). Al-Ghazali has traditionally been regarded as one of Islam's most important thinkers. This work, originally translated by Nabih Amin Faris in 135 pages in 1962, is a complete on-line version and has been retranslated and somewhat adapted for the internet by Shaykh Ahmad Darwish of the "Mosque of the Internet." The Deliverance from Error is a complete translation of al-Ghazali's (d. 1111 CE) Munqidh min al-dalal, his spiritual autobiography. In one of its most important sections, he explains his transition from a scholar and theologian who merely teaches and writes about religion into someone who experiences religious truths. Ibn Rushd's On the Harmony of Religion and Philosophy This is a translation of a substantial part of Ibn Rushd's (known in the West as Averroes)(1126-1198 CE) Kitab fasl al-maqal. In it the following problems are discussed: the creation of the universe, the advent of prophets, fate and predestination, divine justice and injustice, and the Day of Judgment. God's names and attributes in the Qur'an were collected in this list by the important medieval scholar of Islam, Ibn Taymiyah. The 99 Divine Names Although Muslims have said that God's Names and Attributes are infinite, the names of God are usually spoken of as being ninety-nine in number. This derives from the hadith noted at this link. The Trinity: A Muslim Perspective an article by 'Abd al-Hakim Murad, a British Muslim who is a lecturer in Islamic Studies at Cambridge. Method in Mufid's Kalam and in Christian Theology Written by the Catholic scholar and specialist in Islamic theology, Martin McDermott, this article compares the "dogmatic theology" (kalam) of the well-known medieval Shi'i scholar, Shaykh al-Mufid, to Christian theology. Islamic law contains guidelines and rules for all aspects of a Muslim's life, such as how to pray, the proper way to conduct a business transaction, how to bury the dead, as well as crimes and punishments. Traditionally, these laws were based largely upon the Qur'an and the sunnah, which is the practice of the Prophet. These clear principles were applied to new circumstances that later Muslims encountered. Over the course of a few centuries the ways in which these principles should be interpreted crystallized in the form of the four major Sunni "schools of law or jurisprudence" (madh'hab) in addition to the Shi'i schools, the most dominant of which is the Ithna 'Ashari (12 Imam) or Ja'fari madhhab. The issue and importance of the Sunni schools is clarified in the article Understanding the Four Madh'habs, by 'Abd al-Hakim Murad, a British Muslim and Professor of Islamic Studies at Cambridge. (Link fixed, Nov. 27, 2000.) A little known but nevertheless significant third Islamic sect is the Ibadi school. The four Sunni madh'habs are the Maliki, Hanafi, Sha'fi'i, and Hanbali schools. Malikiyyah is a brief overview of the Maliki madh'hab written by Bulend Shanay of Lancaster University (UK) as part of the Philtar online encyclopedia of the world's religions. The Maliki school of law is named after its leading figure (imam) Malik ibn Anas (d. 179 AH/ 795 CE). See this Biography of Imam Malik written by the highly regarded Muslim scholar Muhammad Abu Zahra and translated by A'isha Bewley. The Muwatta' of Imam Malik (d. 179/795) is a hadith collection that is at the foundation of the Maliki "school of jurisprudence" (madh'hab). Al-Risalah of 'Abdullah ibn Abi Zayd al-Qayrawani (922-996 CE), translated here by the scholar 'Ayesha Bewley, represents a further crystallization of the understanding of law according to the Maliki school of Jurisprudence. The People of Knowledge; and Fatwas is a section of the newly translated book, A Madinan View, also by the Maliki scholar, 'Abdullah ibn Abi Zayd al-Qayrawani. The passages linked here consist largely of the views of Imam Malik himself. The book is available from TaHa Press. Its US distributor is Arshad Khan, The Bestsellers; 61-38 168th Street; Fresh Meadows; NY 11365; 718-359-4446. The Fundamental Principles of Imam Malik's Fiqh by the well-known contemporary Muslim scholar Muhammad Abu Zahrah and translated by A'isha Bewley. This is a detailed and lucidly translated on-line book that will make the foundation of the Maliki madh'hab accessible to English readers. Hanafiyyah a brief summary of Hanafi school of jurisprudence written by Bulend Shanay of Lancaster University. Named after its leader (imam) Abu Hanifa, whose full name was al-Nu'man ibn Thabit ibn Zuta (d. 150 AH/ 767 CE), today the Hanafi madh'hab is prominent in former Ottoman countries (especially Turkey), Central Asia, and India. The Hanafi Madh'hab: My Love and My Choice is a lengthy article about the principles of the Hanafi madh'hab written by the well-known scholar Allamah Shibli Nu'mani and edited by Syed Mumtaz Ali. Imam Abu Hanifah: His Life and Work is an excerpt from the English translation of the Sirat-i Nu'man by the well-known scholar Allamah Shibli Nu'mani. al-Imam al-Azam Abu Hanifa is a detailed biography of Imam Abu Hanifa based on traditional biographical sources and published by Waqf Ikhlas, which is based in Turkey. It contains a number of untranslated transliterated Arabic words and hence will be difficult reading for novices. Shafi'iyyah A brief overview of the Shafi'i school, written by Bulend Shanay of Lancaster University as part of the Philtar online encyclopedia of world religions. Named after its leader (imam) Muhammad ibn Idris al-Shafi'i (d. 204 AH / 820 CE), the Shafi'i school today is dominant in Egypt, Syria, Southeast Asia, and East Africa, as well as a few other regions. Imam al-Shafi'i and His Method of Jurisprudence, written by the contemporary Muslim scholar Taha Jabir al-'Alwani as part of his book on Islamic Jurisprudence Usul al-fiqh al-islami, discusses al-Shafi'i's life and his method of reaching legal decisions based on Islamic priniciples. al-Shafi'i's Risala: Treatise on the Foundations of Islamic Jurisprudence Imam Muhammad ibn Idris al-Shafi'i (d. 204/820) was the founder of the Shafi'i school of law and one of the most important figures in the entire history of Islamic jurisprudence. Here are two links to Shafi'i's Risalah (translated by Prof. Majid Khadduri). In both of them Shafi'i justifies the necessity for taking the Sunna as an essential supplement to the Qur'an for the formulation of Islamic law. The first link, al-Bayan IV (The Fourth Declaration), is from the Risalah, ch. 2 (pp. 75-76). The second link to theRisalah comprises four sections of ch. 5, titled On the Obligation of Man to Accept the Authority of the Prophet (pp. 109-122) In addition to their respect for his establishing much of the foundation of Islamic law, many Muslims revere Shafi'i as a saint and may also make a pilgrimage to the shrine of Imam Shafi'i in Cairo, seen here. Reliance of the Traveller (Umdat al-salik) by Ahmad ibn Naqib al-Misri, English translation, commentary, and appendices by Nuh Ha Mim Keller. This is a web-based edition of the carefully translated manual of the proper practice of Islam (shari'a) according to the Shafi'i madh'hab. It has been an essential book in the library of any serious English speaking Muslim or scholar of Islam since its publication in 1991. Al-Maqasid of Imam al-Nawawi is a concise book of the essentials of Islam according to the Shafi'i madh'hab. The author, Yahya ibn Sharaf al-Nawawi (d. 676/1277), was one of the most prominent Sunni scholars of the Middle Ages. This on-line English translation of his work includes the first three chapters, but unfortunately excludes four other chapters, one of which is on the practice of Sufism--which for al-Nawawi was an important component of Islam. Hanbaliyyah This is a brief article on the Hanbali school, written by Bulend Shanay of Lancaster University. This school of Islamic jurisprudence was named after Ahmad ibn Muhammad ibn Hanbal, or as he is often known, Ahmad ibn Hanbal (d. 241 AH/ 855 CE). A biography of his that also contains a discussion of the conflict he had with Muslim theologians can be found in the article Ahmad ibn Muhammad ibn Hanbal, written by the scholars of the al-Sunnah Foundation. Hanbali Fiqh, an excerpt from a work of the Hanbali Sufi shaykh 'Abd al-Qadir al-Jilani, briefly discusses the Hanbali perspective on what is required of someone who wishes to enter the religion of Islam and then states the Hanbali perspective on the components of the ritual prayer (salat). Ibn Taymiyya (d. 728 AH/ 1328 CE) is undoubtedly the medieval Hanbali scholar who is most well-known, since many of his ideas are at the basis of the Salafi/ Wahabi movement that has been so influential among Muslims today, especially in the West. This favorable biography, written by the Muslim scholar Assad Nimer Busool, is part of an introduction to Prof. Busool's on-line translation of Ibn Taymiyah's Principles of Islamic Faith (al-'Aqidah al-wasitiyah). Ibn Taymiyya: a brief biographical sketch and critique by the American Muslim scholar Nuh Keller points out Ibn Taymiyah's deficiencies in the realm of the "tenets of faith" ('aqida). Wahhabiya, sometimes called the Salafi school, is an early modern, 18th century offshoot of the Hanbali madh'hab. Although defeated and deprived of influence in 1818, new life was breathed into the Wahhabi movement in the early 20th century by the ascendancy to power in the Arabian peninsula on the part of the Sa'udi dynasty. See the brief but useful summary of the Wahhabiyyah by Bulend Shanay of Lancaster University. Regarded by non-Wahhabis as an extreme fundamentalist version of Islam, the Wahhabi school--which is anti-Sufi and anti-Shi'i-- is dominant in Saudi Arabia and very influential throughout the rest of the world. While a small minority of Wahhabis are militant, the Wahhabi school as a whole should not be characterized as militant, even though historically it was militant. Certainly, for example, most Saudis are not militant today. Hence readers should be careful to distinguish fundamentalist extremist Islam from militant Islam. The confusion is compounded in Central Asia, particularly in Uzbekistan and Afghanistan, where fundamentalist extremist Muslims are generally militant. Today, in Uzbekistan, the term "Wahhabi" is in fact synonymous with a fundamentalist extremist Muslim militant. Fiqh as-Sunnah (Fiqh al-Sunnah) by Sayyid Sabiq is a very popular 20th century manual of fiqh dealing, for the most part, with the acts of worship and the conduct of daily life. While it sometimes gives the positions of the madh'habs on the issues discussed, often only a ruling without reference to madh'hab is given. Hence even though this manual is very useful for obtaining answers to questions about the practice of Islam, in no way can this be considered the final word on these matters. Islamic Law: Myths and Realities is an excellent basic article from the on-line journal Criminal Justice International and does not presuppose prior knowledge of Islam. The article entitled Shari'a and Fiqhis a brief discussion of these two essential terms in the field of Islamic law. The Principles of Islamic Jurisprudence is an on-line book written by a Muslim scholar of Islamic law. The Development of Ijtihad and Islamic Reform, 1750-1850 This recent article, by Knut Vikor of the University of Bergen, discusses the capacity of Muslim scholars to develop and make changes in Islamic law. Schacht's article, "Law and Justice" is an overview of Islamic law written by the chief non-Muslim scholar of Islamic law among the past generation of scholars. The Spirit of Islamic Law published in 1998 by Professor Bernard G. Weiss of the University of Utah, covers the principles of Islamic jurisprudence, which are at the foundation of the Islamic legal system and Islamic life in general. A substantial description and table of contents of the work are on online, and the book itself can be purchased from the University of Georgia press, which is the publisher. Islamic Family Law: Social/Cultural Information by Region Part of the Islamic Family Law website --one of the many components of the Islamic Family Law Project directed by Professor Abdullahi A. An-Na'im of Emory University and sponsored by a grant from the Ford Foundation-- this website, although not yet entirely complete, is a well-done and comprehensive survey of the history and current practices of Muslim family law throughout the Muslim world. Norms and Values in Islam an address by by Prof. Dr. Ahmet Akgunduz, Rector of the Islamic University of Rotterdam (Netherlands). Prof. Akgunduz discusses this topic in a clear and organized fashion from the perspective of the Islamic science of usul al-fiqh (principles of jurisprudence). Request a Fatwa fatwa, which is a ruling on an aspect of practice, law, or doctrine, can be attained here from the Egyptian Fatwa Council. The name "Shi'ism" is derived from the Arabic phrase "shi'at 'Ali," which literally means the partisans or party of 'Ali (d. 661). The cousin and son-in-law of the Prophet, 'Ali was believed by most Muslim historians (but not all) to be the first male to embrace the Prophet's message of Islam. His partisans were those who believed that 'Ali was the rightful successor of the Prophet and that 'Ali had been chosen by the Prophet to succeed him in his role as the political and spiritual leader of the Muslims. This was in contrast to the belief of the Sunnis, who did not believe the Prophet had selected 'Ali to serve in that role. The vast majority of Shi'ites are the twelve imam or twelver shi'ites (ithna 'ashari) and live today primarily in Iran, Iraq, and Lebanon. Shi'a, an article by Bulend Shanay of Lancaster University briefly surveys some of the beliefs and history of the Ithna 'Ashari (twelve imam) Shi'ites. Outline of Differences between Shi'is and Sunnis from the viewpoint of Shi'ism. This was written by the scholars who have compiled the Shi'ite Encyclopedia, noted below. Shi'ite Islam This is an on-line book by the famous Shi'ite scholar Tabataba'i and translated by Prof. Seyyed Hossein Nasr. A Shi'ite Encyclopedia Developed by Shi'ites, this encyclopedia covers the main lines of Shi'i thought. It can be browsed by topic or searched with its own search engine. Al-Islam: Subject Index This is the topical index to the Al-Islam website, a massive site on Islam as viewed from a Shi'ite perspective. It contains many articles useful to students of Islam. This site was developed by Ahlul Bayt Digital Islamic Library Project. On the Beliefs of the Shi'a Imamiya is a translation of a primary text by one of the most important medieval Twelver Shi'ite scholars, Ibn Babawayh, also known as Shaykh al-Saduq. Al-Kafi by al-Kulayni is a scholarly article concerning the first of the four major works of Shi'i hadith. The article, written by Dr. I.K.A. Howard, discusses al-Kafi and its author, Abu Ja'far Muhammad ibn Ya'qub al-Kulayni (d. 328 or 329 / 939 or 940). Unlike hadith in Sunni Islam, hadith collections in Shi'i Islam include the sayings of the Shi'i imams. Man La Yahduruh al-Faqih by al-Saduq is a scholarly article concerning the second of the four major collections of Shi'i hadith. Written by Dr. I.K.A. Howard, this article also includes a discussion of al-Shaykh al-Saduq, Ibn Babawaih al-Qummi (d. 381). Tahdhib al-ahkam and Al-Istibsar by al-Tusi is the title of an article by Dr. I.K.A. Howard concerning the third and fourth of the four major works of Shi'i hadith. Both of these works were written by Abu Ja'far Muhammad b. al-Hasan, known as al-Shaykh al-Tusi (d. 460). The Origin and Growth of the Shia (link fixed October 24, 2002). This useful summary is presented at the website of the World Federation of the Khoja Shia Ithna-Asheri (sic) Muslim Communities (KSIMC). See their list of Islamic Resources. Currently the best description of this organization is to be found in the Constitution of the World Federation. Website of Ayatullah Muhammad Shirazi, who is one of the more important Shi'ite religious leaders alive today. Based in Qum, Ayatullah Shirazi is a marja'-i taqlid (model whose guidance is to be follwed). His website includes a variety of materials, among them being some of his articles and a short biography of him. Karbala and the Imam Husayn in Persian and Indo-Muslim literature This article, by Annemarie Schimmel, emeritus professor at Harvard, surveys the literary use of the image of the martyed Imam Husayn (the third Shi'i Imam). 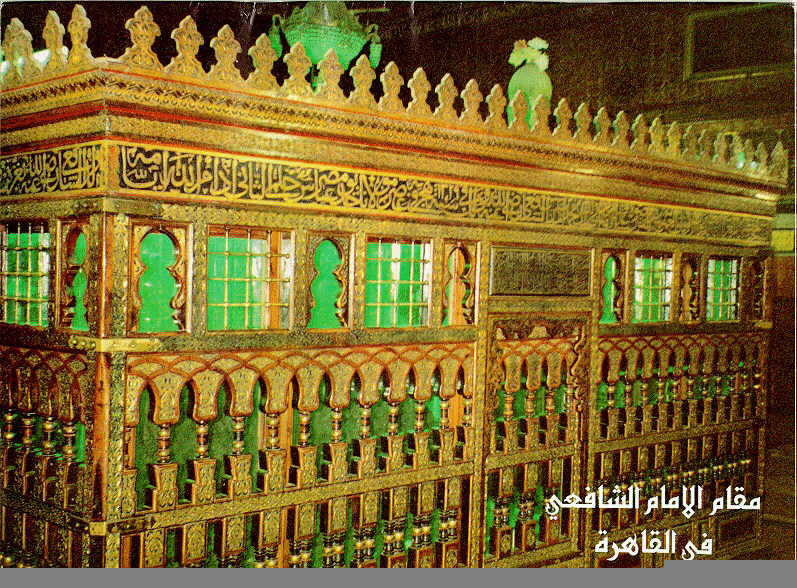 The Shrine of the Hidden Imam "Twelver" (Ithna 'ashari) Shi'ites believe that including 'Ali there were twelve rightful descendants of the Prophet in his role as political and spiritual leader of the Muslims. They believe that the twelfth of these, the Hidden Imam, never died but rather "occulted," which is to say that he left this material plane of being and went to a metaphysical plane of being, from where he will return to the material plane near the end of time in order to inaugurate a new era for humankind. Through this link you can view a good quality image of the shrine of the Hidden Imam in Samarra, Iraq. The Silencing of Professor Abdulaziz Sachedina Ayatollah Sistani, the chief Shi'ite religious authority (marja' al-taqlid) of the majority of the 12 Imam Khoja Shi'ites, recently recommended the silencing of Professor Sachedina, a 12ver Shi'ite, who is also a professor of Islamic Studies at the University of Virginia. Among the issues for which he was criticized are his views on religious pluralism. Scholarly Papers on Shaykhism, also known as the Shaykhi school of Shi'ism, written by Juan R. I. Cole, a professor at the University of Michigan. These papers all concern Shaykh Ahmad al-Ahsa'i, the central figure of the Shaykhi school, which developed in 19th century Iran. The Isma'ili Shi'ites (or 7-Imam Shi'ites), diverged from the majority Ja'fari or 12-Imam Shi'ites since they regarded the seventh and last Imam to be Isma'il, the eldest son of Ja'far al-Sadiq. In contrast, the 12-Imam Shi'ites do not accept Isma'il, who predeceased his father, as their seventh imam. Instead, after the death of Ja'far al-Sadiq (d. 765 CE), they followed his still living son, Musa al-Kazim (d. 799 CE) and, after him, his descendants. Not following Musa al-Kazim and his descendants, the Isma'ilis followed Muhammad the son of Imam Ismail and his descendants up to the present day. An important Isma'ili movement was the 9th century Qarmati movement in 'Iraq, comprised of followers of Hamdan Qarmat. See the brief summary of the movement, Qarmatiyyah, written by Bulend Shanay of Lancaster University (UK). Druze-- A minority of Ismailis who, after the death of the Fatimid, Imam Al-Hakim bi-Amrillah, believed that Imam al-Hakim was divine and did not in fact die. Today this group is found in Lebanon, Syria, and Palestine. See a brief summary of this sect, titled Druzes, written by Bulend Shanay of Lancaster University. Buhras or Bohras (originally known as Musta'lians)-- Ismailis who followed Imam Musta'li, a son of Imam Mustansir billah, instead of Imam Nizar, who was another son of Imam Mustansir. The Bohras today live primarily in Yemen, India, and East Africa. See the scholarly article Bohras by Mustafa Abdulhussein, from the Oxford Encyclopedia of the Modern Islamic World, and the Dawoodi Bohra website. Nizaris, Khoja Ismailis, or Agakhanis-- followed Imam Nizar, the other son of Imam Mustansir, who escaped from prison (after being deposed by the supporters of Imam Musta'li) and made his way from Cairo to Syria and from there to Iran. Today the Nizaris are followers of Imam Karim Agha Khan. A Brief History of the Ismaili Community based on material from Prof. Farhad Daftary, the leading scholarly authority on Ismaili history. Ismaili Web, constructed by Ismailis, is a useful resource containing among other things a number of scholarly articles. The Importance of Studying Ismailism is a short essay by the famous "White Russian" scholar of Ismaili history and thought, Professor W. Ivanov. Nasir Khusraw (d. 481 AH) was an important Persian poet, philosopher, traveller, and Ismaili propagandist (da'i). The Zaydi or five imam Shi'ites are those who follow Zayd ibn 'Ali, the grandson of the third Shi'ite imam, Imam Husayn, who was in turn a grandson of the Prophet. Zayd's father was 'Ali, the fourth Shi'ite imam. Yemen became a Zaydi country toward the end of the ninth century CE and has continued to be Zaydi until today. See the brief article Zaydiyyah by Bulend Shanay of Lancaster University (UK). Ibadi Islam: An Introduction by Valerie J. Hoffman, professor of Islamic Studies at the University of Illinois (Urbana). The Ibadis, today most known for their presence in Oman, have their origin in the Kharijites, a seventh century (AD) sect of Islam. Nusayriyyah, who are generally regarded by Muslims as being outside the limits of Islam, regard themselves as originating with the eleventh Shi'a Imam al-Hasan al-Askari (d.873) and his student Ibn Nusayr (d.868). They are particularly important in Syria even though they are only about 11% of the population. The reason for their importance in Syria is because Hafez al-Asad, the former Syrian president, was a Nusayri.